The legendary Maltese organisation announced their return to the eSports scene with a Call of Duty: Infinite Warfare squad! Ephica has been a household name in the Maltese COD scene since the golden Call of Duty 2 days winning a total of 10 offline events since its inception. "We are very happy to have been given this opportunity to represent such a legendary name in the Maltese eSports scene. 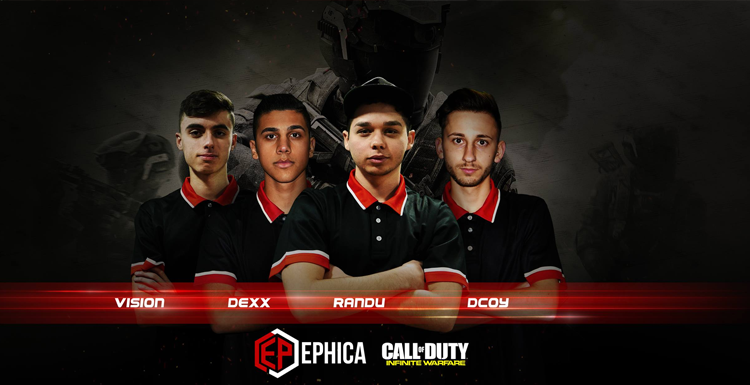 I believe that our team is made up of 4 talented players with the potential to go far and with the support of Ephica makes it even easier to achieve our goals." The team is currently playing in international competitions mainly MLG and Gfiinity with the ambition to play against the top teams in the industry.